A cashback credit card is almost always the best option for someone looking for a new credit card. You can find some that have no annual fee, which means you can make an easy profit off using the card regularly. But not all of them are great; for excellent borrowers, a cashback credit card comes with a higher APR so there has to be a real benefit. We have examined hundreds of credit cards recently, and only a handful or so were worth recommending to anyone at all. The short list we have compiled in this post features nothing but high quality cards. Sure some will have weak points, but each will blossom as being the best option for someone. If you’re interested in a cashback credit card there are literally hundreds you could pick. A lot of them are backed by big names like American Express, Barclays, and Capital One. These are certainly dependable choices, but you might find yourself looking for alternatives to get better cashback rewards. You will find that cashback credit card typically offer anywhere from 1% to 5% on your purchases. The difference is that the higher rewards are usually assigned to specialty purchases, like gas and eating out. If you’re getting a flat rate, or if you’re buying groceries or physical goods, you’re usually looking at 1% to 2% cashback. So here’s a look at the cashback credit cards that we at Elite Personal Finance recommend the most in 2019 ! This cashback credit card gives you 1% on everything you spend. You also get 5% when paying for gas, when eating out, and even when shopping on Amazon. The 5% cashback booster applies for a maximum of $1,500 every three months. After the first calendar year comes to an end, you’ll also get up to $200 worth of cashback matched by the card issuer. You can pick when to release the cashback rewards, and there are no minimum requirements for doing so. This card also features 12 months with 0% interest and a 0% fee on balance transfers. You don’t have an annual fee to cover. You even have access to your FICO score on a regular basis at no extra cost. These two credit cards are both highly legitimate and they have a lot of similarities. Neither of the two have an annual fee, and they both give you $150 if you spend least $500 in the first three months of having the card. Chase Freedom gives you 1% on everything you buy, but you actually get 5% back quarterly for gas, food, and wholesale store purchases. 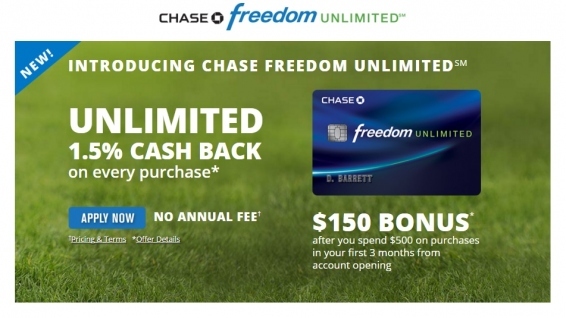 Chase Freedom Unlimited just gives you a flat 1.5% cashback rate when you use their card. If you’re a big, frequent spender this is your best option. You’ll be able to get 1.5% back regardless of how much you spend on the card. Bank of America’s Cash Rewards card gives 1% cash back on every purchase, 2% at grocery stores and wholesale clubs and 3% on gas for the first $2,500 in combined grocery/wholesale club/gas purchases each quarter. They also offer $200 online cash rewards bonus offer. The big plus about the card is that there is no fee for having the card. It doesn’t give a huge cashback reward, but at least you know it’s guaranteed money as long as you keep paying your card off in full each month. The first $6,000 you spend at a supermarket gets you triple points. You get double points at gas stations as well. If you have at least 30 card transactions in a billing cycle, you’ll receive a 50% point booster. Once you have spent at least $1,000, within the first three months of using the card, you’ll get 15,000 bonus reward points. The card also offers 0% APR and 0% balance transfers for the first 12 months, and then you’ll receive an interest rate ranging from 13.24% to 23.24% which is dependent on your credit. This card comes with a $95 annual fee. If you shop online a fair bit, chances are you find the best prices on a lot of the items you buy on Amazon. They have a cashback rewards credit card that gives 3% on every Amazon.com order. These funds can sit and be applied to future purchases. The card is multi-functional as you receive cashback rewards for shopping everywhere else too. There’s a 2% cashback reward on gas, eating out and shopping at pharmacies. Anywhere else you shop will get you a 1% return on everything you spend. 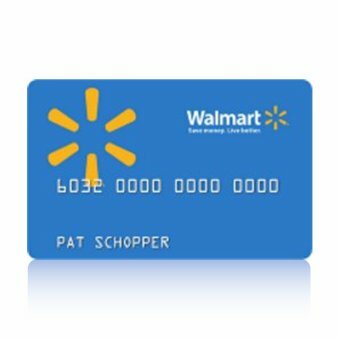 If you get approved for this card you will get a $50 Amazon.com gift card immediately. Right off the bat you can earn $150 by just purchasing $1,000 in stuff, as long as you spend that much in the first three months that you have the card. You can then earn 6% on everything you spend at supermarkets. You’ll also get 3% back on gas and department stores like Wal-Mart and Target. Everything else will only earn you 1% cash back on what you spend. You get 0% interest and 0% on balance transfers for the first 12 months. After that the rate on your card will run between 13.24% and 23.24% roughly. Also, this card comes with a $95 annual fee. Honorable mentions: Chase Sapphire Preferred (2%), Citi Double Cash Card (1-2%), and Discover it Chrome (1%). You just have to be careful when getting a credit card that offers a higher cashback at grocery store. You won’t have your grocery shopping at places like Wal-Mart and Target included. This could erase a lot of the value you find in getting a cashback reward card that doesn’t have a flat rate. 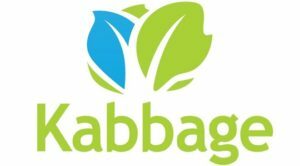 If you shop at these kinds of stores often, you’re better off getting a slightly higher base cashback rate that applies for all your purchases. How much does a cashback card give you back? The amount you get back can vary drastically by card. The most notable difference is whether you’re getting a flat rate on all purchases or if it scales by shopping category. Most flat rate cards stick to the 1% back rate, although some do give 1.5% cashback. Once you get into the 2% range, the options are more limited; one of the best flat rate cards, the Citi Double Cash card, gives 1% immediately and another 1% after the borrowed funds are repaid. Which card gives you the most cashback?? The highest amount of cashback possible would come from a specialty rewards card. For example, the Starwood Preferred Guest Card comes with a sign-up bonus worth about $600 in points. If you use them the right way, such as by taking advantage of their 20% booster on 1:1 point transfers, you could make the sign-up bonus have as high as a $1,250 value. How many reward-based cards should you have? This is a question that gets heavily debated. Sometimes it seems like having two different reward cards can benefit you more. For instance, you can get 5% cashback (which is incredible) through Chase Freedom Unlimited but this only counts for certain categories. So if your cost of traveling and staying at hotels isn’t rewarded very well, using one of the best travel reward credit cards will severely boost the amount of cashback you receive. Are there any secured cards with money-back incentives? 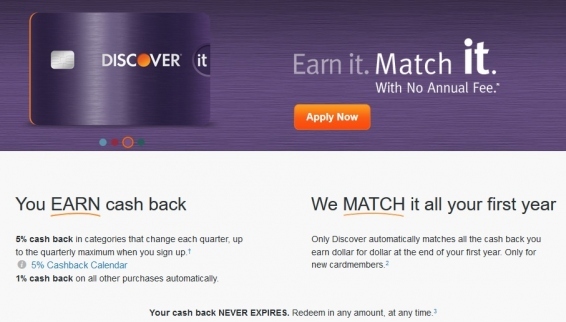 You can get the secured Discover it credit card. It doesn’t have fees — when you’re late once there’s no surcharge, and you never have to worry about an annual fee. As a new cardholder, you also get your entire cashback amount doubled once your first year is up. Keep in mind, this is a secured card that reports actively to the major credit bureaus which means it is great for anyone who is trying to rebuild their credit. What’s the best rewards card for average / bad credit? Unfortunately, credit card issuers look at the cashback feature as a luxury that only the best borrowers can enjoy. So you will be hard-pressed to find any companies that will offer you a credit card if you have a poor score. That said, you can still get a secured cashback credit card if you’re okay with going the secured route. The Discover it secured card is your main option right now. It requires collateral, but you can earn up to 5% on many of your purchases and there aren’t any annual fees that you have to pay. What should you look for when choosing between cards? You have to be careful when applying for any credit card, let alone a cashback rewards card. You can only extract value out of these cards if you spend a fair bit each month with the card. This means you’ll be more likely to carry a balance. Of course, after your no interest period you’ll have to pay interest on this carried balance. So you should try for a cashback credit card with a lengthy no interest period. You also need to make sure the card you get doesn’t have a low maximum for the amount you can get back off your purchases. Most are capped at a certain amount, although the Chase Freedom Unlimited card will give you 1.5% back on everything you spend. You will find that the limits are higher (or unlimited) when you look at cards that just give a flat rate on everything you buy. When you look at high percent cash back cards, you typically get capped at a low amount. What should you do and avoid when applying? You should apply for all the cash back cards you are interested in having at one time, instead of spacing out the applications. This will bundle your hard inquiries together and cause less of a negative on the calculation of your credit score. You might want to look at store-specific cards for better cashback rewards if you shop somewhere frequently. For instance, if you buy off Amazon.com all the time then the Amazon Prime Store Card (5% cashback on Amazon.com purchases) will be a no-brainer for you. 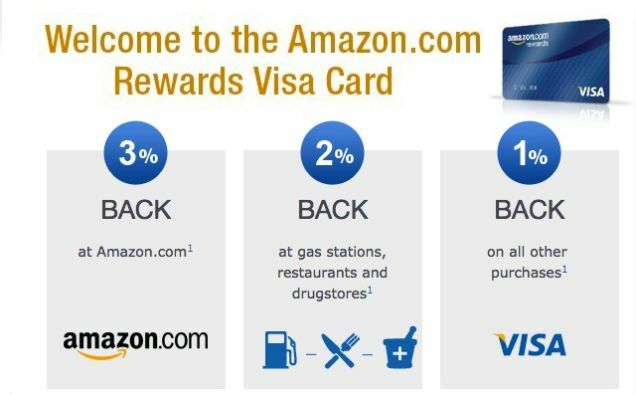 The next best thing is the Amazon.com Rewards VISA card that gives 3% back on your future Amazon.com orders. You are better off with a cashback rewards card that has no annual fee. After the no interest period ends, you’ll be paying a bit in interest on your carried balance every month. So you’ll do better by avoiding the cards with annual fee as they won’t cost you as much once they start to age. You need to be careful about where you think the card works for any particular cashback amount. Sometimes getting 3% or 5% at a grocery store won’t apply for Wal-Mart shopping, which means not all groceries are necessarily covered. Ask for clarity if you are unsure; some generic labels you might see include ‘supermarkets’ and ‘grocery stores’.